Thank you parents of Double Peak students for checking out my website. I’m so proud to be your music teacher in a school that is going to transform your student into a leader of our society! Music is going to be a part of that and I want to give you an overall snapshot of what we are offering at Double Peak. Kinders thru 2nd grade are going to receive music instruction twice a week and the lessons will build upon themselves toward understanding written music and the basic concepts of dynamics, tempo, rhythm and the aesthetics of music. Third graders will be playing recorders along with discovering the basics of music. Every third grader will also get an introduction to learning to play the violin. Fourth and fifth graders will be learning about band instruments beginning with the woodwind family, specifically the recorder and the clarinet. Everyone will play the clarinet while continuing to learn the basics of music. Then they will switch gears to learn about brass instruments and everyone will get an experience on trumpet before Mr. McGhee offers your students an opportunity to join beginning band during the school day! Sixth and seventh graders will start right out with beginning band or Concert Band for experienced musicians. I have been teaching middle school music in North County for thirty years now and I’m so happy to be here to share in your student’s musical experience. I started in San Marcos 22 years ago at Woodland Park, then I moved to San Marcos Middle, then on to San Elijo and now Double Peak. I believe we have one of the most comprehensive musical opportunities in the county and I’m sure your family will be enriched through Double Peak music. 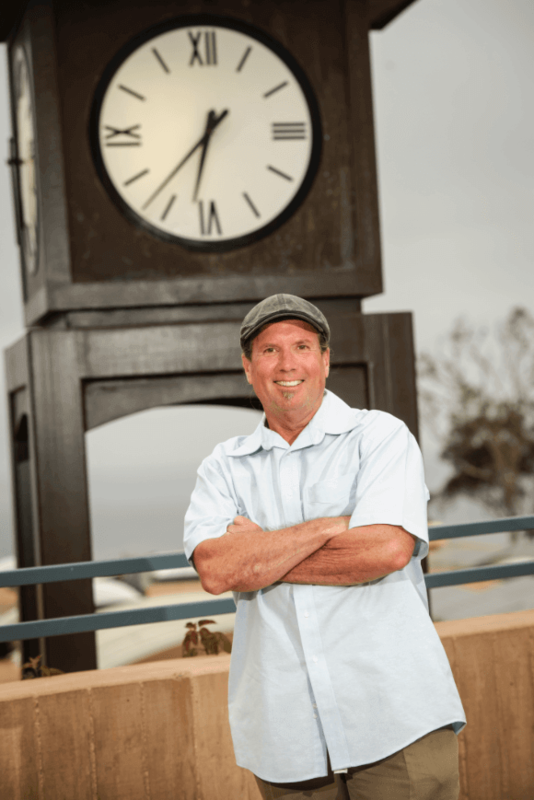 I play music professionally and live in Encinitas with my wife Jane who is a PE coach at Carlsbad High School. After school, I like to jog on the beach. We love to travel to Latin Countries in South America as well as, Spain during our summer breaks. I look forward to meeting you at concerts and working with your students.